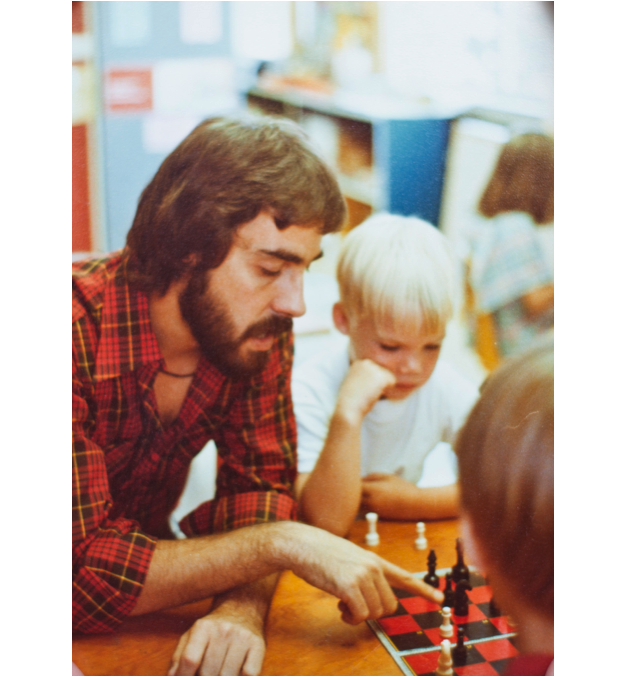 In 1971, The New School opened in Fayetteville, Arkansas as a non-profit organization with 24 students age three to six. Today, the school has more than 400 students from one-year-olds in the preschool to 10th grade. Over the years, the school has seen substantial growth, in both the program and the leadership, but the philosophy and mission of the school have stayed very much the same. The New School was founded by Bill Mandrell and a group of local families who desired a quality early childhood education program for their children and generations to come. In the building that would someday become the Arts Annex, Mr. Bill met with the Nettleship family and formulated the idea of the preschool. The school opened in one room of the ANL medical lab building. In 1973, The New School moved to Leverett Gardens, an apartment complex with a childcare facility. From then until 1979, enrollment continued to grow as full and half day schedules were available along with before and after-school care to accommodate families where both parents had careers. The school also began to develop enrichment and arts programs (including swimming!) as the student body increased to 48 students. In 1980, a permanent home was built for the school in its current location. With 2.5 acres donated by Drs. Nettleship and money raised by a Building Committee, a new preschool building was constructed to hold the 100 students. Over the next 10 years, the enrollment and building continued to grow in tandem. In 1990, the Board and parents promoted the expansion to elementary grades, with goals including excellent student teacher ratio and exceptional enrichment activities. As grades were added, beginning with 1st grade in 1991, so were the classrooms to accommodate. In 1994, both a computer lab and a music room were donated and built. As the program continued to expand, the need for space increased. In 1998, the North Annex was built for upper elementary grades and included both a gym and cafeteria. Enrollment grew to a total of 324 students, with temporary classrooms still used for upper grades. In 2000, with a gift from the Walker family, the Walker Middle School Annex was built for grades 3-7. Then, in 2004, the former Nettleship home was renovated with a donation from Les and Mina Baledge to house enrichment programs. Several more campus improvements were made over the next several years, including the addition of the Mandrell amphitheater, and the renovation of the upper playground. In 2006, two more classrooms were added to the Walker Annex to accommodate 5th grade and the Science Lab was renovated. The Lower School outdoor space also received a facelift with the dedication of the Judy Johnson Moore Memorial playground in 2007. On August 25, 2014, the school opened a new Preschool and Administration building, nearly doubling the school's square footage. 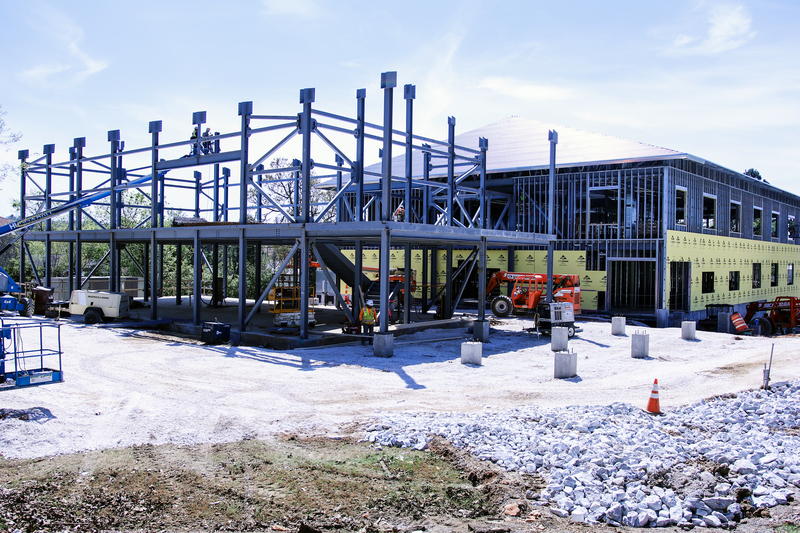 The addition included a 350-seat auditorium, dance and visual arts studios, spacious preschool classrooms, indoor gym spaces, and outdoor classroom, and the Starr Family Adventureland Playground. A strategic planning process began in 2015 to create a long range plan for the school to renovate current spaces. All of the expansions have been undertaken with the school's mission and philosophy in mind. In 2016, after significant research and recommendation made by the Upper School Exploratory Task Force (a group comprised of parents, faculty, administration and board members), the board of trustees unanimously approved the addition of a high school, beginning with 9th grade for Fall of 2016. Lead gifts from the J.B. Hunt family and Todd and Shelley Simmons enabled the school to begin Phase I of the Campus Master Plan — a 35,000 square foot Academic Center, a 8,000 square foot Innovation Center, a 18,000 square foot Athletic Center — all three facilities will open Fall 2017. The school's main entrance in 1980. The completed North Annex in 1998. The Bill Mandrell Amphitheater, part of the 2005 campus improvements.